The City of Toronto’s Ombudsman, Fiona Crean, has issued a scathing report about the so-called public consultation regarding proposed second exits at stations on the Danforth subway. For detailed reporting of events at the time, please see my earlier posting. The Ombudsman’s report details events after July 2010 when the whole discussion and consultation, such as it was, disappeared into private meetings with few benefits. Indeed, after neighbourhoods thought that the projects had been put on hold, design work actually continued unknown to anyone including the local Councillor. The litany of “I thought someone else was responsible” communication foul-ups goes on and on, even after one might have thought the TTC had learned their processes were broken. “Arrogance” does not begin to describe the attitude of TTC staff and their attitude to community input as an annoyance to be avoided. 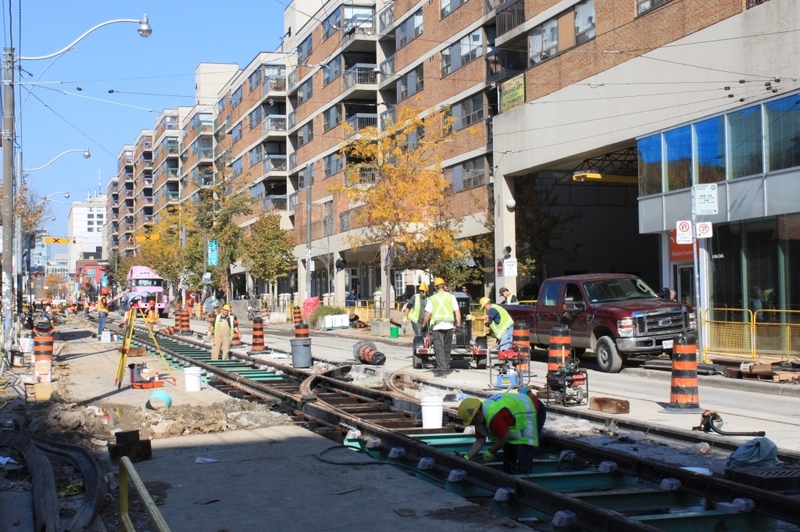 The TTC has fully accepted the Ombudsman’s criticism and will implement new procedures and communication models for projects to ensure that everyone knows what is going on. This frankly is an example of a situation where, at the time, neither senior TTC management nor Commissioners knocked heads together to fix a process that was clearly broken. Just how broken shows up in the degree to which staff arguments defending their preferred design shifted as necessary to subvert any public input. This is all documented in the report. I could not help thinking of GO Transit and their appalling dealings with various communities in the Georgetown rail corridor notably at the West Toronto grade separation. GO is now trying to improve, but the Georgetown project is plagued with the same problem of lost trust brought on by mistreatment of the public participation process that we see with the TTC. It is easy to become an agency thought to be incompetent and untrustworthy, and far harder to win back respect. This is a sad tale and an indictment of an organization whose reputation for fair dealing with the public has been less then ideal. Things are improving, but lifting the rocks so that we can see all of the creepy-crawlies underneath rarely happens and the Ombudsman has done Toronto a good service here. Other agencies would do well to read her report and see just how badly things can be screwed up, even with, on occasion, good intentions. The TTC’s response to the Ombudsman’s report is on their website.